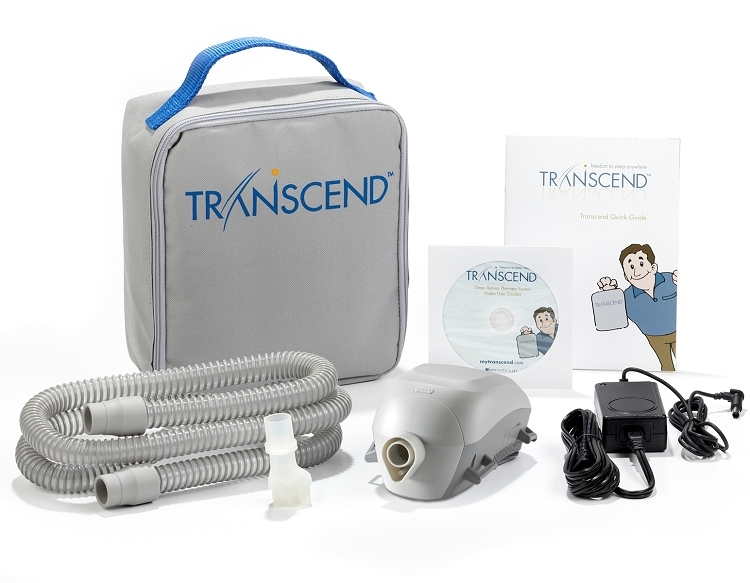 Featuring the smallest, lightest and most innovative sleep apnea therapy systems in the world, the Transcend line is the FIRST family of PAP devices uniquely suited for use at home and during travel. With a full range of therapy options and accessories, you have the power to customize your therapy to your lifestyle. Transcend™s portability and versatile power options means effective CPAP therapy is no longer limited to the nightstand. The Transcend Standard CPAP with EZEX Pressure Relief Starter System includes the Transcend II fixed pressure CPAP unit, universal hose adapter, standard 6ft hose, universal AC power supply, travel bag, printed quick guide. 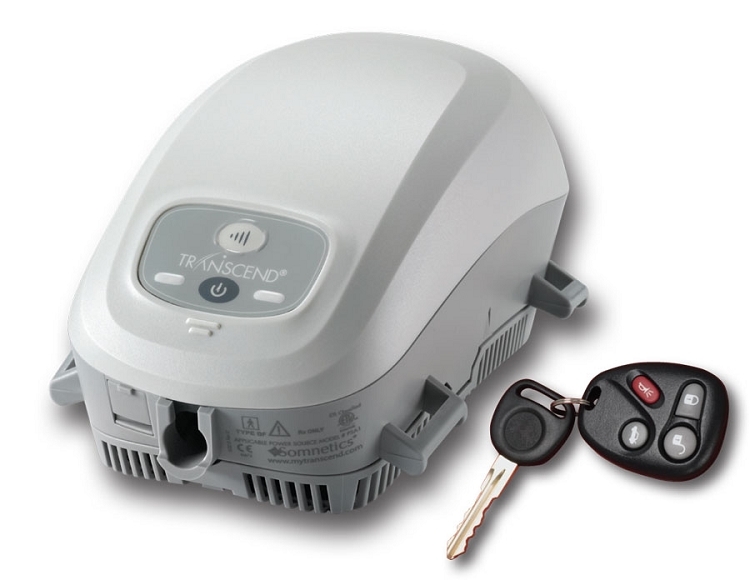 The Transcend Overnight Bundle includes the Transcend Standard CPAP with EZEX Starter System plus a Transcend P4 overnight battery. The Transcend Multi-Night Bundle includes the Transcend Standard CPAP with EZEX Starter System plus a Transcend P8 multi-night battery.